Pittsburgh Ballet Theatre (PBT) Artistic Director Terrence S. Orr has signed two new dancers to the company roster for the 2018-2019 Season, which opens Oct. 26-28, with "Mozart in Motion" with the PBT Orchestra. PBT School graduate students Christian García Campos, of Puebla, Mexico, and Tommie Keston, of Pittsburgh, will both join the company as apprentices for the 2018-2019 Season. They'll make their final performances as students in the school's two year-end performances: Pre-professional Showcases, May 18-20, at Point Park University, and Spring Performance 2018, May 25-26, at the Byham Theater. "These dancers captured our attention with their stage presence and technique, not only through their work with PBT School but also in the professionalism they've show on stage in company productions like 'The Nutcracker,'" Orr said. "We look forward to officially welcoming them to the company in July when we begin rehearsing for our new season." García Campos and Keston will make their official company debuts at PBT's free "Ballet Under the Stars" performance at 7 p.m. Sunday, Aug. 19, at Hartwood Acres, followed by "Mozart in Motion," the company's main-stage season opener, Oct. 26-28, at the Benedum Center. In other roster changes for the 2018-2019 Season, dancers Masahiro Haneji, of Hokkaido, Japan, William Moore of Ipswich, England, and JoAnna Schmidt of Eustis, Florida, were promoted to soloists. And two longtime dancers will close their careers with PBT. Soloist Alexandre Silva, a 12-year company member, will retire following PBT's May 4-6, 2017-2018 Season finale, "UPMC Presents West Side Story Suite + In the Night + Fancy Free." Principal Julia Erickson, a 17-year company member, will close her career with PBT following the company's October 2018-2019 Season opener "Mozart in Motion," which features works by George Balanchine and Ji?í Kylián. Corps de ballet dancers Yuto Ideno, Olivia Kelly and Daniela Moya also will depart the company following PBT's May 4-6, 2017-2018 Season finale, "UPMC Presents West Side Story Suite + In The Night + Fancy Free." Single ticket sales for "Mozart in Motion" and other 2018-2019 Season productions open Aug. 7, at www.pbt.org, 412-456-6666 or the Box Office at Theater Square. Tickets start at $28. Subscription packages, starting at $81, are available now by visiting www.pbt.org or calling 412-454-9107. 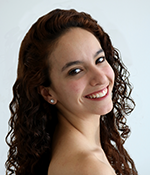 Christian García Campos, of Puebla, Mexico, joins the company from the PBT School Graduate Program, where she has trained since 2014 - first as a full-time high school student and then as a Graduate student. Prior to PBT, García Campos trained with the Saint Paul Conservatory for Performing Artists and with Estudio y Compañía de Danza Antoinette in Puebla, Mexico. García Campos has performed in PBT productions of "Swan Lake," "The Nutcracker," "Dracula" and "Alice in Wonderland." Her repertoire also includes "Etudes," "Giselle," "Don Quixote" and the role of Arabian in "The Nutcracker." She will perform in excerpts from "Swan Lake" and George Balanchine's "Western Symphony" among other works at PBT School's Pre-professional Showcases and Spring Performance 2018. Pittsburgh native Tommie Keston joins the company from the PBT School Graduate Program, where she gained main-stage experience in PBT productions of "The Nutcracker," "Swan Lake" and "PBT: New Works." Prior to joining PBT School in 2017, she trained with Miami City Ballet School and Ballet Academy of Pittsburgh and completed summer intensives with the School of American Ballet and PBT School. Her repertoire includes George Balanchine's "Walpurgisnacht," "Valse Fantaisie," and "Raymonda Variations;" Peter Martins' "Eight Easy Pieces;" Jerome Robbins' "Glass Pieces;" and multiple roles, including the Sugar Plum Fairy, in "The Nutcracker." In May, Keston will dance a principal role in excerpts from Balanchine's "Western Symphony" among other works featured in PBT School's Pre-professional Showcases and Spring Performance 2018. 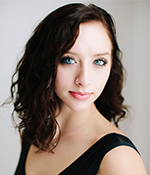 She'll also appear alongside company dancers in Robbins' "West Side Story Suite," part of PBT's May 4-6, season finale.